Iron construction and unique curved detail make a stunning combination in this stylish traditional table lamp. I have a small sitting room with an iron stove and the lamps will look perfect! Style and price are great! 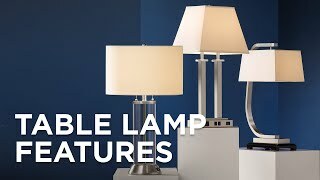 Liked looks of lamp and reviews! Is the shade a hardback or soft back? BEST ANSWER: The back is soft fabric that is similar in color to the front. Is the base black iron? BEST ANSWER: It has a dark brown finish, not black. The base is a bronze Enter an answer to this question. 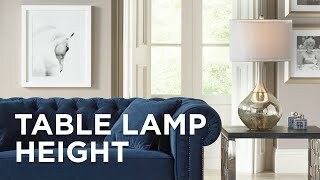 This lamp makes a beautiful addition to our family room décor. It illuminates a dark space with just the right touch. Lamp was packed very well . Even the shade well protected. Look forward to ordering other items in future. Delivery was prompt and came in one box, easy to assemble. Lamp is working out just fine. I love the quality and look of this lamp. 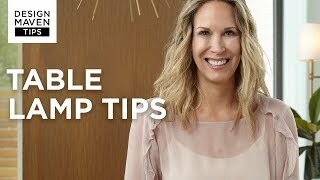 The burlap shade adds a complementary texture to my family room decor. Very nice quality and old world charm, complementing with other traditional and modern items in room. Nice tall height on end table to sit under. I love these lamps, they fit perfectly in our living room. I would definitely recommend. Thank you. 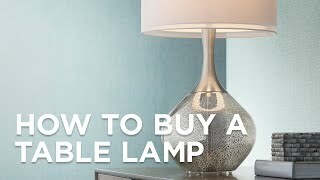 These lamps are sturdy and provide good light. I was concerned about the shade being too dark, but it's quite the opposite.